There is a lot of different ways of making crepes but i will start by showing how to make cheese crepes (nalisniki). 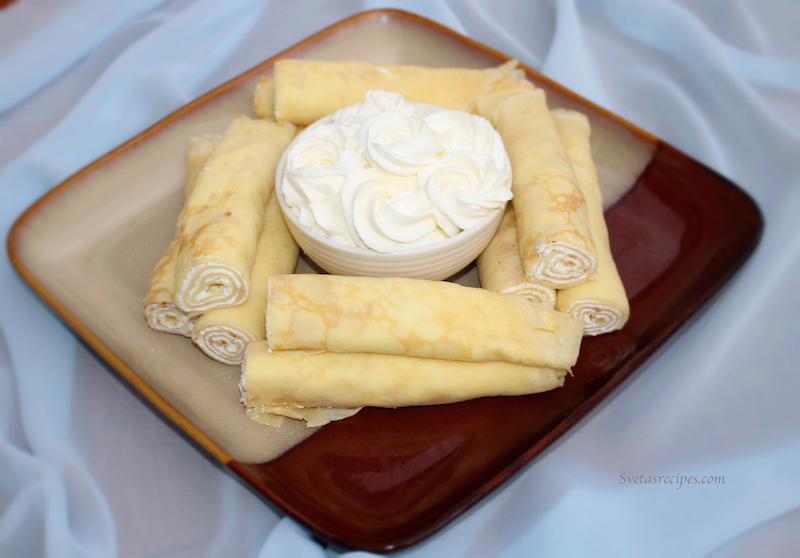 Cheese crepes are very soft and yummy and most importantly they are super easy to make. 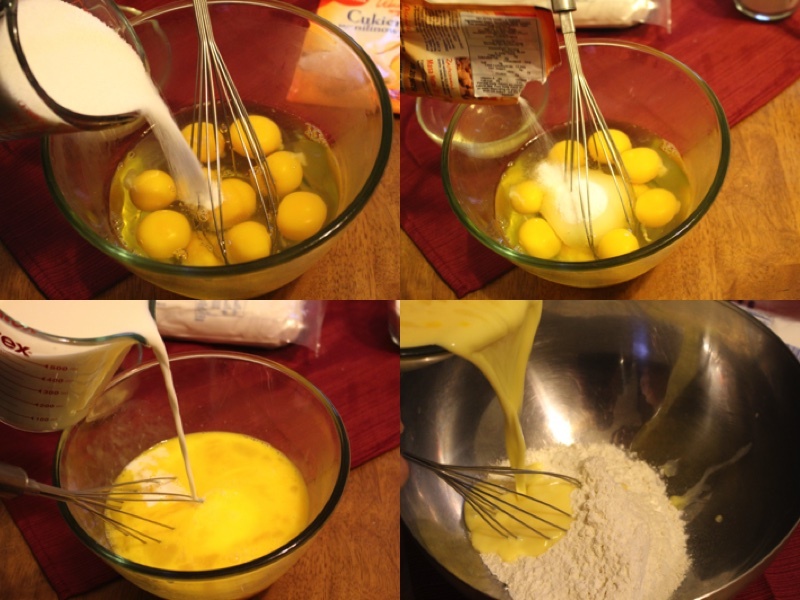 1) In a big bowl put in all the eggs/ add the sugars and stir until all the yolks are blended. 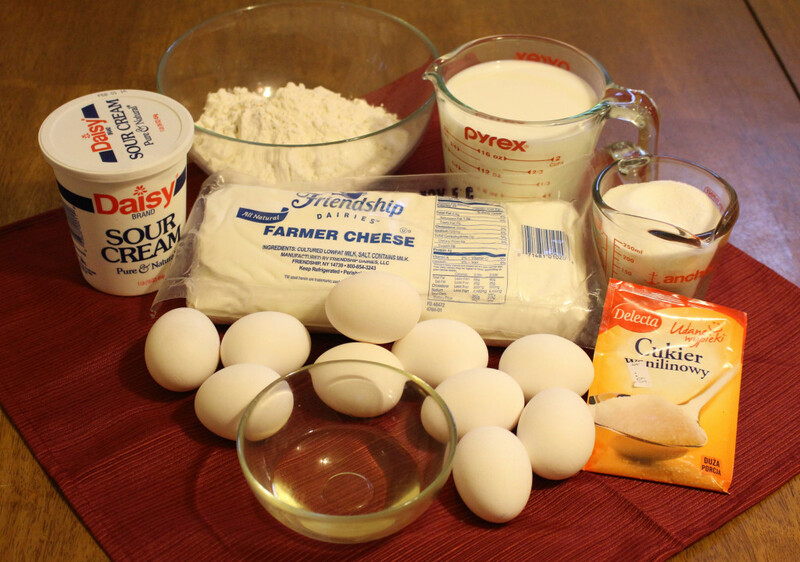 3) In a separate bowl sift the flour and add in eggs mixture in there and mix it well. 4) Add oil and mix. 6) Pour crepes mixture into the pan only a spoon full or more depending how big the skillet or pan is. Move the pan from side to side to have crepes mixture spread evenly through out your pan. 8) After making all the crepes. In a big bowl put in the farmers cheese/ sour cream/ sugar/ vanilla sugar and mix it very well . 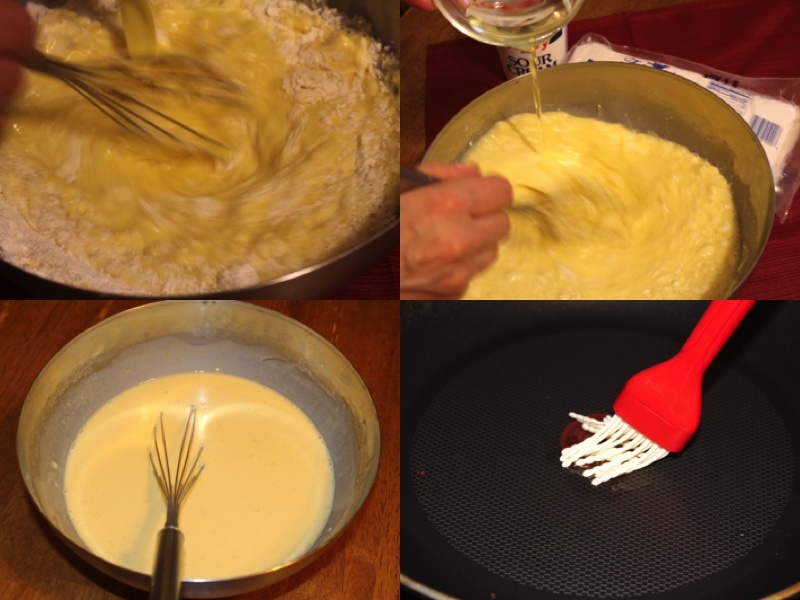 9) Take 1 tablespoon or more depending on your preference of the cheese mixture and spread it evenly throughout each crepe with a knife or a spatula. 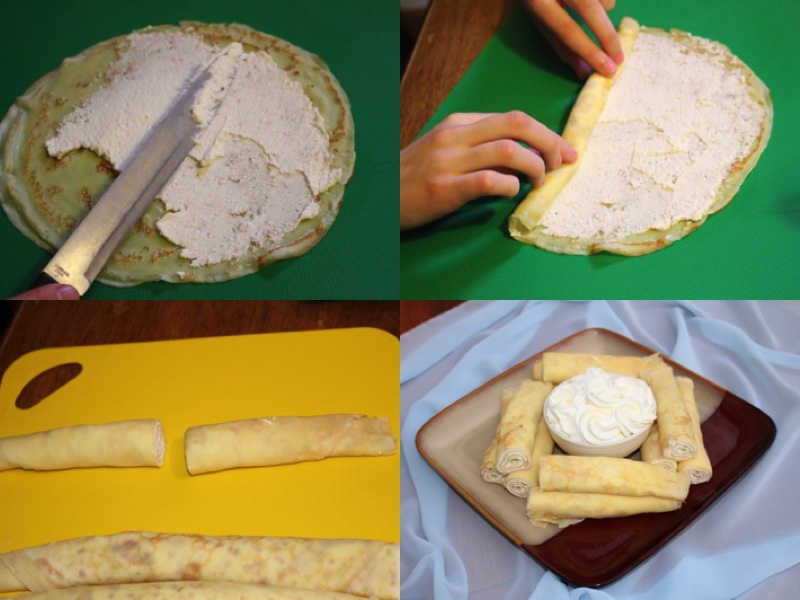 10) Roll into a roulette each of the crepes and cut in the middle. In a big bowl put in all the eggs/ add the sugars and stir until all the yolks are blended. In a separate bowl sift the flour and add in eggs mixture in there and mix it well. Pour crepes mixture into the pan only a spoon full or more depending how big the skillet or pan is. 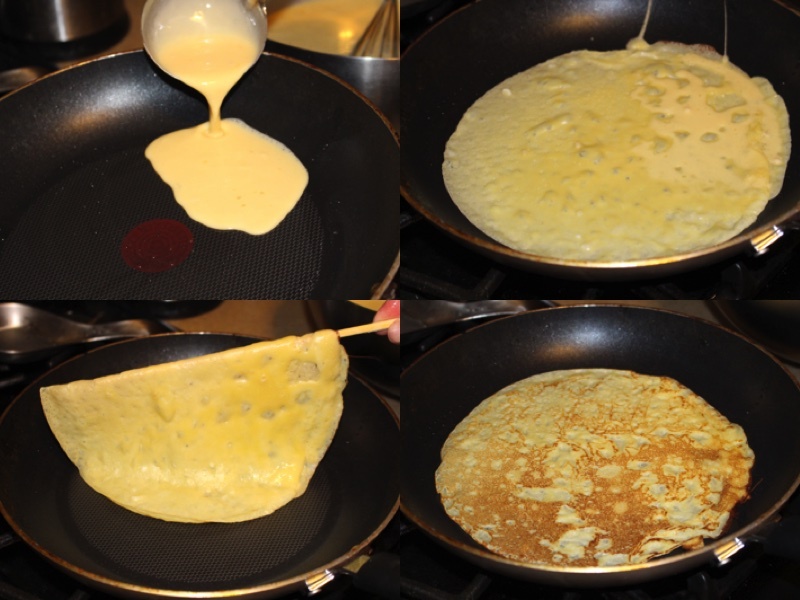 Move the pan from side to side to have crepes mixture spread evenly through out your pan. After making all the crepes. In a big bowl put in the farmers cheese/ sour cream/ sugar/ vanilla sugar and mix it very well . 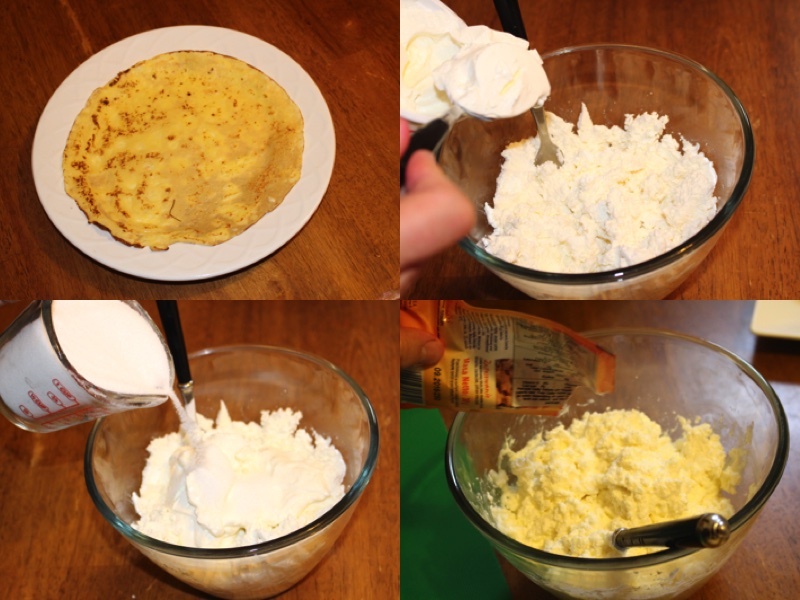 Take 1 tablespoon or more depending on your preference of the cheese mixture and spread it evenly throughout each crepe with a knife or a spatula. Roll into a roulette each of the crepes and cut in the middle. very complete recipe tutorial, thankyou! Where do you get the farmer cheese? I buy mine at the Russian store or restaurant depot. And about how much nalisniki you make of that portion? Is it fine if I use 1% milk?